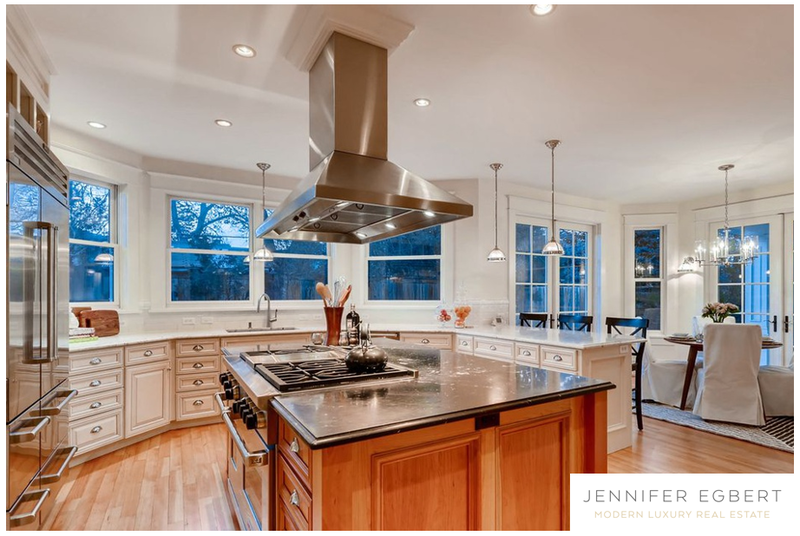 Enjoy views from every level in this stunning, colonial revival style home built in 2004. You’ll love the large front porch, gorgeous fir wood floors, formal library/office, high end kitchen and sun filled formal dining and family room. The lower level is designed with gorgeous brick work, theater, gym, kitchen, bedroom/bath, perfect for guests. Listed by WK Real Estate.